It was the 4 year anniversary of the earthquake on Monday, which was a good opportunity to reflect on why were all here in pisco, the impact that psf has had over these years and also the sheer scale of work required to improve living conditions in the town for so many people to a humane standard. One volunteer who appropriately goes by the name of Buddha, led a guided meditation session outside the volunteers house for an hour between 6 and 7 to mark the time of the earthquake. This was in memory of those hundreds killed, the thousands of family members and friends left grieving and the thousands more who lost their homes and are still struggling to rebuild and get their lives back on track. Unfortunately as one of the only people in pisco who will pat the scabby street dogs, my involvement was cut a little short when the local dogs noticed me sitting quietly outside. On a more positive note, Tuesday also marked the 3 year anniversary of psf. This was marked by the opening of ‘tupark’ (an ecological park built by psf in the neighbourhood of tupac amaru inca). This was attended by most volunteers and hundreds of local kids and families. It was great to see the project being so well received, and I think it highlights the impotance of community projects for morale and wellbeing in post disaster areas. The mayor unveiled a plaque on Sunday and there was a great party atmosphere. This had originally been planned to happen on Tuesday evening but there have been some violent protests and rioting in pisco in the evenings recently as a reaction to the lethargic reconstruction process and a presidential visit last week. The women’s clinic is moving really quickly, the trenches for the foundations had to be dug out manually which took a while, but these are finished and poured, the rebar is all in place for the ground beams and columns and we are finishing placing pipesbefore pouring the ground beam tomorrow. After that well start bricklaying which will take a good few weeks. I will have to leave the project for a few days next week in order to make a border run to either chile or Ecuador to renew my visa, which will expire since I am now staying an aditional 5 weeks. As the project leader I’m working with the supervising engineer most days and I’m happy to find my Spanish is improved enough to avoid staring blankly at him! I’m really glad to have been given the opportunity to take on more responsibility at psf.I’m learning so much from the project I still very much feel that I’m taking far more from it than I am able to give back. SO since my last update, the Jesus bathrooms project has been completed which is a great feeling! 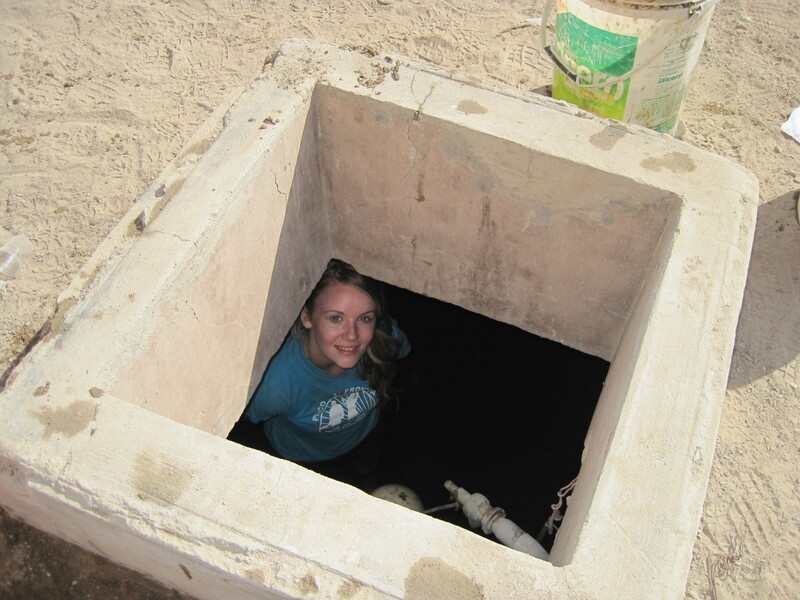 It is really going to make such a difference in the community where Ive only found one family to have any form of sanitation in their own home, and that was extremely basic. Now there are 2 toilets and 2 showers available for use as soon as the municipality finish installing the sewage pipes through the neighbourhood. They dug up the deep trenches for these a few weeks ago and have since been frequented by small children playing, and street dogs thrown in my small children. It was a week of working very long hours to get it finished but we completed the last of the tiling last Saturday and were all very proud of it, it was a rather emotional goodbye trying to get the kids to understand that the gringos really werent coming back on Monday. If my original plan was adhered to, I should be flying home to Glasgow in a few weeks, but thanks to the generosity of the Jessica Jennifer Cohen Foundation, I am able to stay here for an extra month via additional grant funding. I am so proud to call myself a volutneer at PSF I really couldnt imagine leaving so soon and I am hugely grateful for the opportunity to stay working in Pisco for longer. 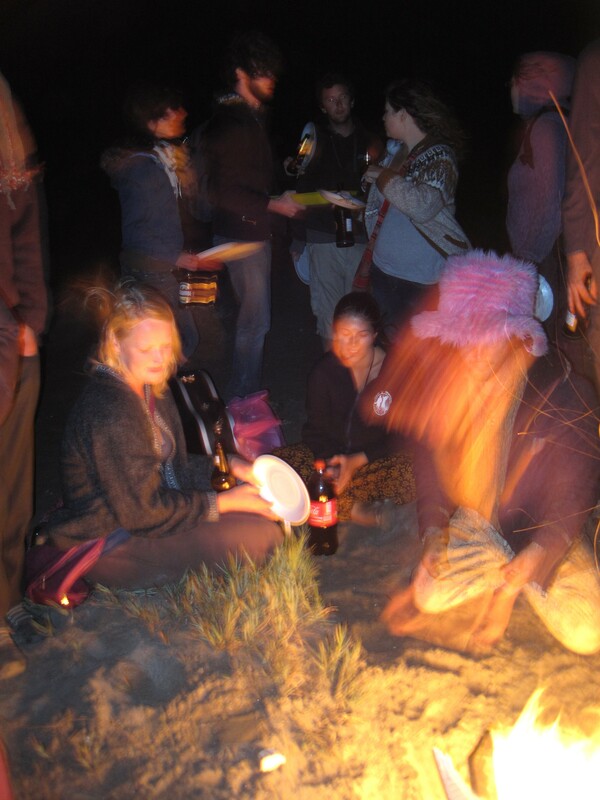 Last week was Peruvian Independence Day, which involved a long weekend off work. A few of us visited a nearby beach town called Cerro Azul for a few days which was lovely but I think most of us didnt really know what to do with all the free time. 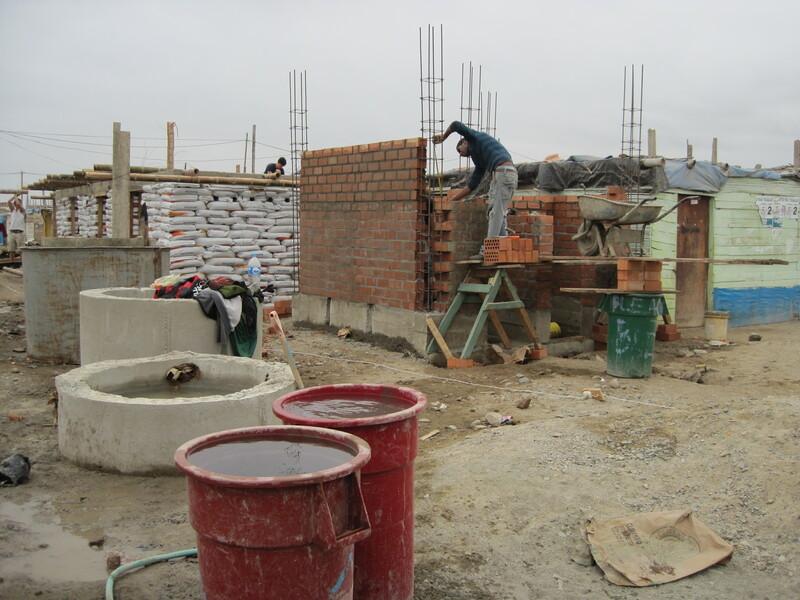 Since then I have taken on a project leader role for a new project at PSF – It is the construction of a small womens health clinic in a hospital in the neighbourhood of Tupac Amaru. Im slightly daunted by the prospect of being responsible for the construction, especially since it has been decided that we dont have the budget to hire a maestro (local building expert) except for 2 half days a week. 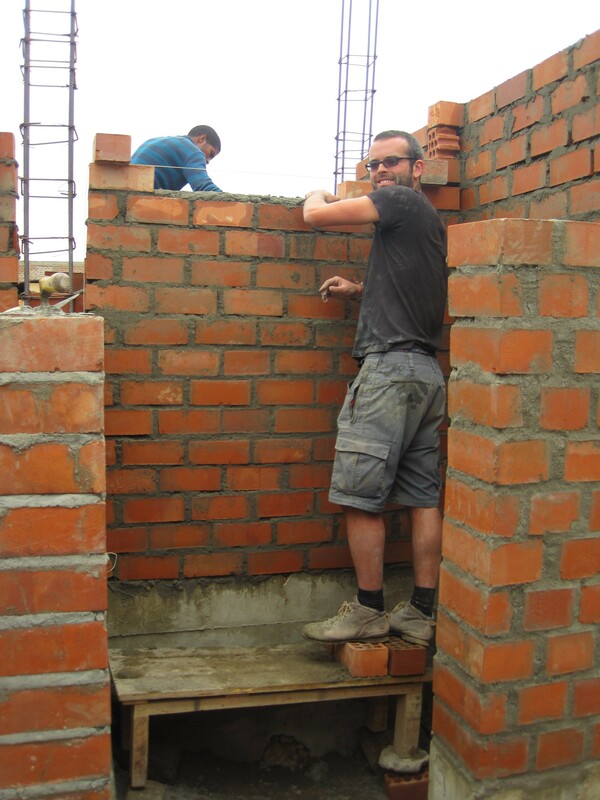 It feels great to get really stuck into a project from the very start though, it has a projected length of 3-4 months so I wont see it through unfortunately, but I hope I can finish all the construciton works and hand over to a different volunteer to take on the tiling, painting etc. Although it is getting a lot better, I reckon my Spanish is going to have to rapidly improve over the next few weeks for the role! The clinic has only been on site for 5 days now, and we have most of the (very deep) foundations dug out and the ground levelled (manually of course). After a few weeks of rather intricate bricklaying, tiling and finishing work it it great to be on a physically demanding project again even if I am needing 10 hours sleep a night to recover from it! I had a few sad days last week when some good friends hit the road to continue travelling or go home, which is unfortunately part of life at PSF where the volunteer turnover is high enough that my 3 month stay will make me one of the longest serving volunteers by the time I leave. Its never more than a few nights between fundraisers and social events though, and the friends I have made here are more than enough to make it all worthwhile. The 15th of August marks the 4th anniversary of the earthquake which destroyed Pisco, and its made me think a lot about the role of PSF and an individual volunteer here. We cant really call ourselves a disaster response organization any more, as too much time has passed and its moved more into the field of poverty relief. However, there have been so many people left behind throughout this transition -there are families still living in the canvas tents distributed by the US army in the week after the earthquake – it seems like an even bigger challenge to raise the standards for people who no longer even hope for help from their government or other organizations. 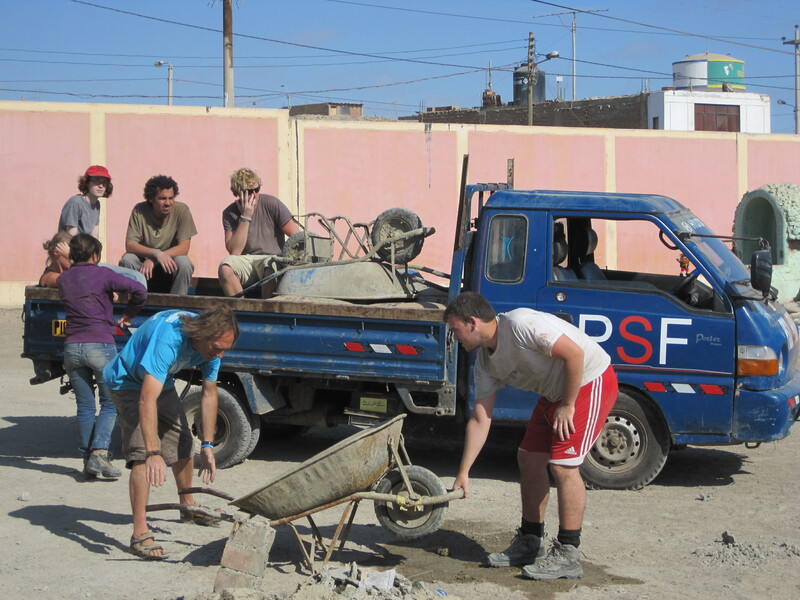 PSF has been making real steps towards community development projects, as opposed to aiding individual families – for example the Jesus Bathrooms project in Jesus de Nazareth, and I believe this is the best way an organization as small as PSF can touch the lives of as many people in Pisco as possible. Unfortunately, working every day in the desert has taken its toll on my camera and it has stopped working, so I will try to update the photos on the blog using someone elses. Having an incredible experience, so happy to be staying until late September. A brief photo update of what Ive been up to for the last few weeks since arriving at PSF! 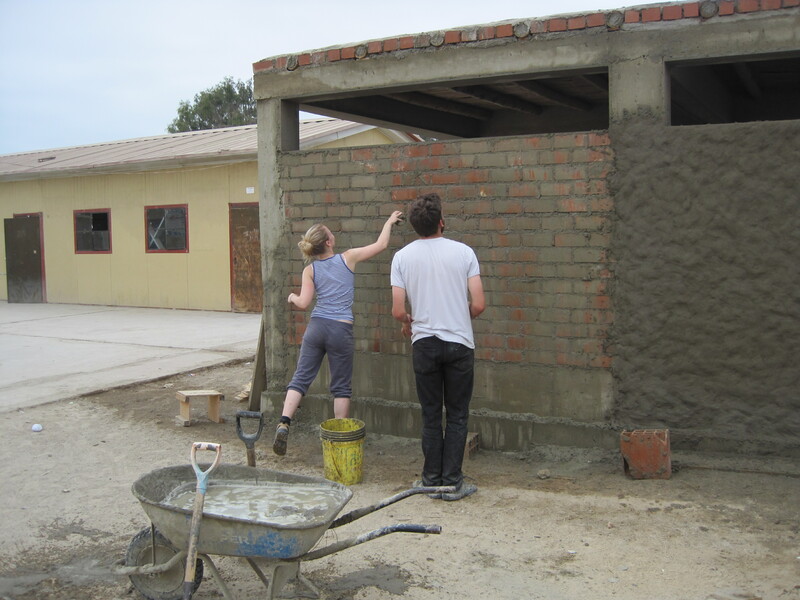 I have spent 3 weeks working on a cantine and toilet block for a school “Maria Parado” which I worked on the plans for last year during my time here. Now that all the major construction work is completed, Ive moved onto a communal toilet/shower block in the poor neighbourhood of Jesus de Nazareth. 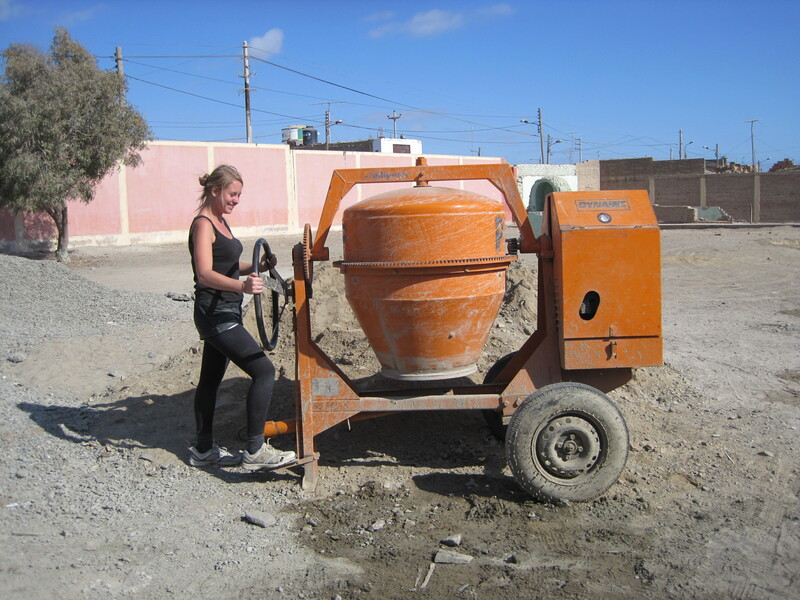 Its definitely hard work but I must be getting stronger because I dont get stuff muscles from all the concrete pours any more, and the positivity and energy of the locals and volunteers Im working with is more than enough to keep me going. I have been in Pisco for almost 2 weeks now and have been settling in well. It was very strange to come back when I have so many great memories from last year but the overall vibe is the same which is as much I could have hoped for, everybody’s very welcoming and hard working and dedicated to continuing the PSF spirit. After arriving in Lima (and spending a long time sleeping) I met with the dean of the catholic university (PUCP), Marcial Blondet to discuss his work in the Pisco in the field of reinforcing adobe structures to withstand future earthquakes. After a very interesting chat he put me in touch with another charity working in the field and in Pisco and I am hoping to make a connection between them and PSF while I am here to involve this aspect of reconstruction into the methods undertaken here. After the 4 hour bus ride from Lima, I arrived at PSF last Wednesday and was a little overwhelmed to be back in Pisco but I still feel like I found a home here last year so it was a very happy experience to turn up again at the big blue doors of the volunteers house. The town is pretty much how I remember it, there are dogs everywhere (especially on peoples roofs…..don’t ask) and the reconstruction process has received little further governmental funding therefore the myriad temporary shacks which were everywhere last summer are more or less unchanged. 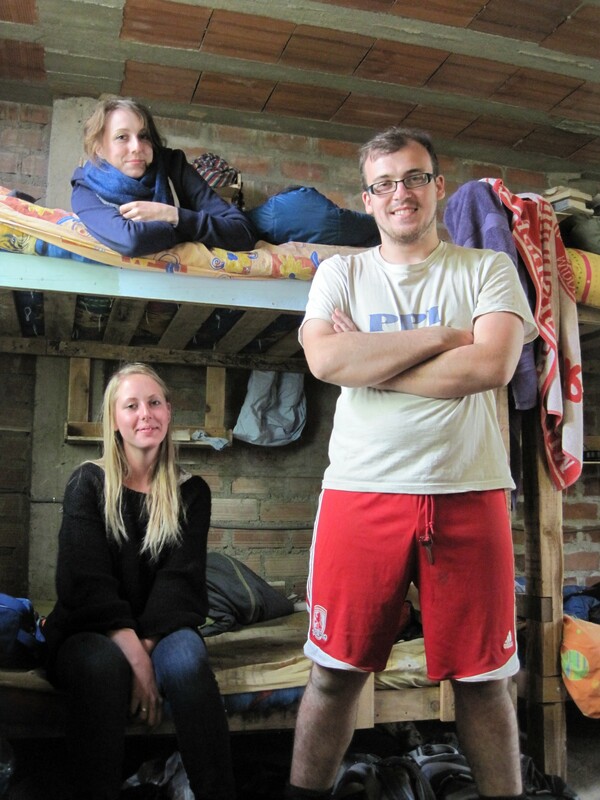 The volunteers house is certainly basic – there are only hay matresses, a few bathrooms and very simple dormitory-style bedrooms. There are a few people here with typhoid and dysentry at the moment which might be expected with so many people sharing the same spaces. However, this isn’t the sort of place you would come to work and feel constantly guilty about your own privelige, I don’t think anybody here would want one extra pound (or sole) spent on our own house when there are so many Pisquenians in need of so much more. The atmosphere here is so welcoming, I can’t imagine anybody coming here and not being sucked into the PSF mindset and way of life. Last year I worked on the architectural and structural drawings for a school building project, and because of a number of delays and problems, it is still being constructed now. So for the last few weeks I have been working on the same school and it’s great to see everything coming together. I can’t quite believe I have been away for so long already, hence no updates on the blog…. 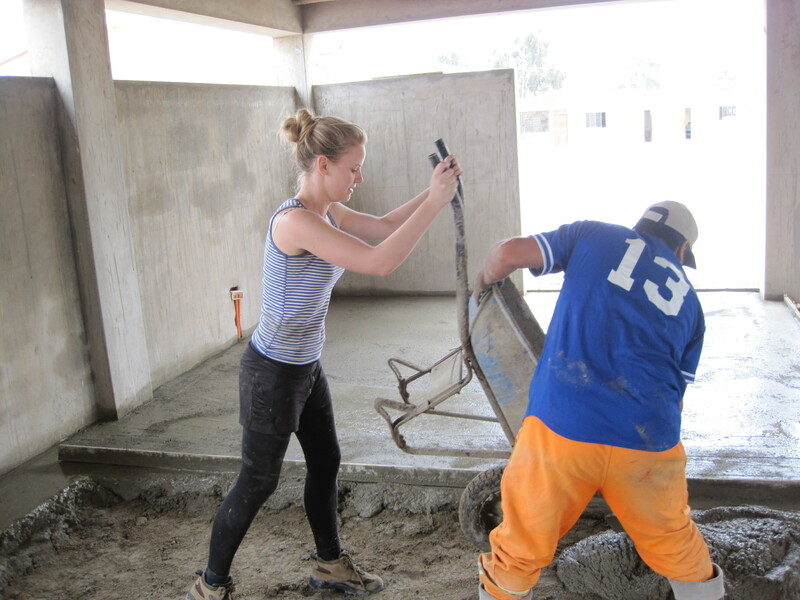 but the last few weeks have involved a LOT of digging, concrete pouring, wheelbarrow-ing and learning very obscure Spanish words for tools and construction materials. 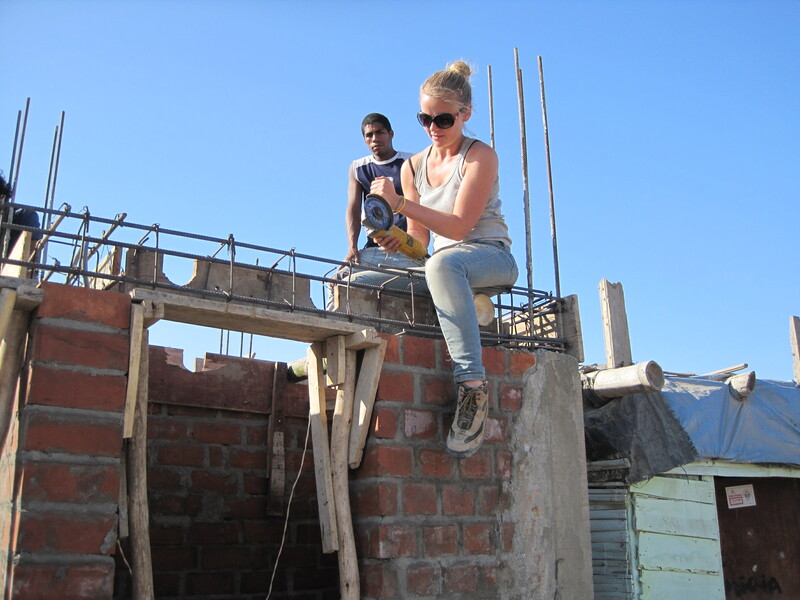 My Spanish is definitely improving, largely thanks to the patience of the Peruvian maestro (construction expert) leading the school project I am working on (Como se dice……) and the other volunteers. The project is coming together well, the walls, roof and now the floor are all complete so it shouldnt be too long until the kids can move in and actually have a hygenic place to eat during school hours. There are about 80 international volunteers here at the moment from all over the world, including the UK, Ireland, USA, Canda, France, Germany, Israel, Australia and Sweden. It’s fantastic and pretty indescribable to be back amongst such dedicated, hardworking and adventurous people and I’m so glad I have a long time left here. The social aspect and the moral support from the fellow volunteers is so uplifting whilst working in a very challenging environment and, at times, very sad place. After 3 days here I had already sent an enquiry to KLM to see if my flights could be delayed until the day before my next university term…..however that’s a no go so I’ll be back when I was expected! My aspirations and expectations for this experience have already changed – I left the UK with a particular focus on reconstruction methods and the architectural aspects of the charity, however the diversity of the projects undertaken here is, I believe, absolutely essential in achieveing a sustainable and non-reliant form of reconstruction and rehabilitation in Pisco. PSF is developing English classes for local kids, fishermen and adults and creating a recycling awareness campaign to help to preserve the local landscape and prevent the huge amounts of rubbish which are dumped in the streets every day. There are community centres, schools, houses and sanitation projects all under construction and there are a number of volunteers who dedicate their time here to helping in the volunteers house on various tasks to ensure the smooth running of the charity. All in all, I am settling in well, have made some great friends am really enjoying the hard work and will upload some photos of Pisco, the volunteers house and work on site soon. Very, very happy to be back. Access to adequate shelter is a basic human right but so often evades the poorest in society. I believe that shelter provision is at the very heart of architectural design, upon which intellectual and aesthetic complexities are apportioned, creating potentially uplifting or moving places which end up providing far more to the inhabitant or visitor than simply protection. As a student of architecture, I have always been intrigued by “simple” shelters: the cultural, social and personal nuances encompassed within vernacular design traditions are complex and highly developed, despite humble appearances. As such, I have long harboured ambitions to become physically involved in shelter construction, for both the humanitarian aspects of such work and also for my own education and curiosity. After finishing the bachelor of architecture course at the Mackintosh School of Architecture in 2008, I moved to London to work in practice for 2 years, where I learned much about the role of the architect in society and specifically gained experience in housing developments in the UK. 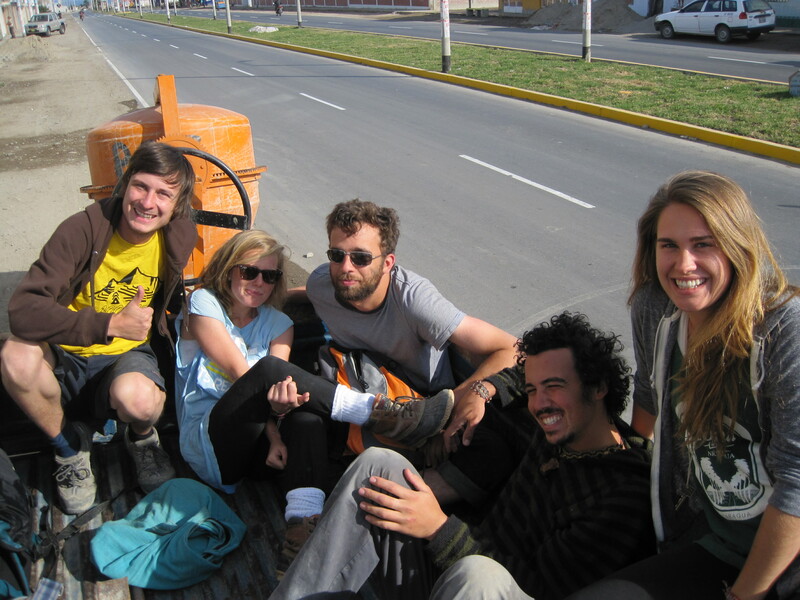 Before returning to university to begin postgraduate study, I made the decision to travel independently across South America, incorporating humanitarian architectural work as part of the expidition. Researching different possibilities, I came across the NGO Pisco Sin Fronteras who specialise in reconstruction and community outreach programs in the town of Pisco, Peru. 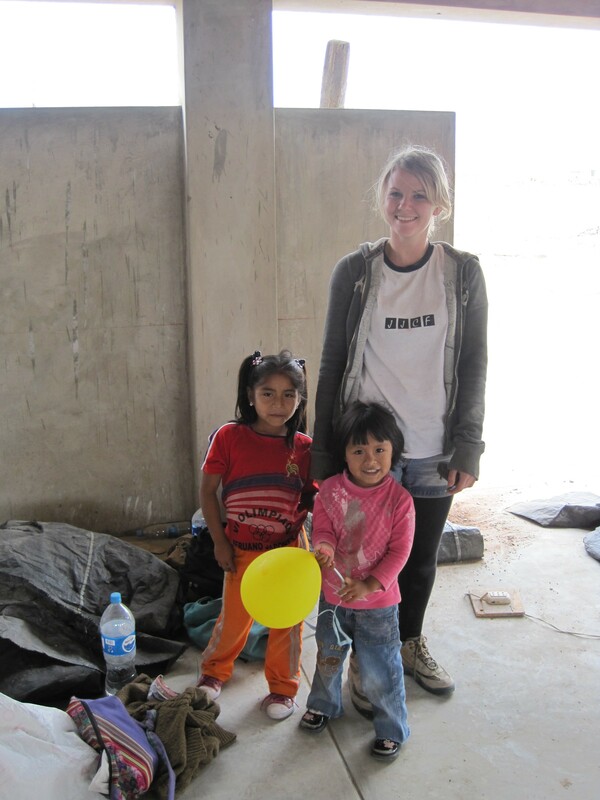 This charity was set up in 2008, on the 1-year anniversary of 7.9 magnitude earthquake which hit the south-west coast of Peru, killing hundreds and destroying or severely damaging a huge proportion of all housing in the area. This devastation was largely relating to the inability of local/vernacular building techniques to withstand the forces exerted on the structures during earthquakes. 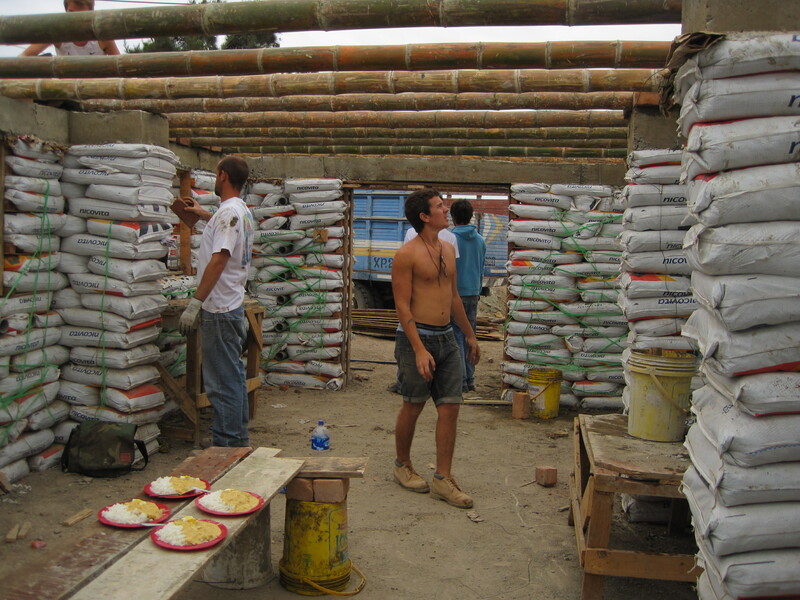 For example, the predominant building material in Pisco prior to the 2007 quake was adobe brick which is heavy and brittle, making it inherently prone to failure during earthquakes. I was deeply moved by my time spent at Pisco Sin Fronteras in 2010, as I became aware of the huge struggle people faced in providing adequate shelter for themselves and their families. I strongly believe that the quality of life of many local people could be enhanced via improvements in housing quality. 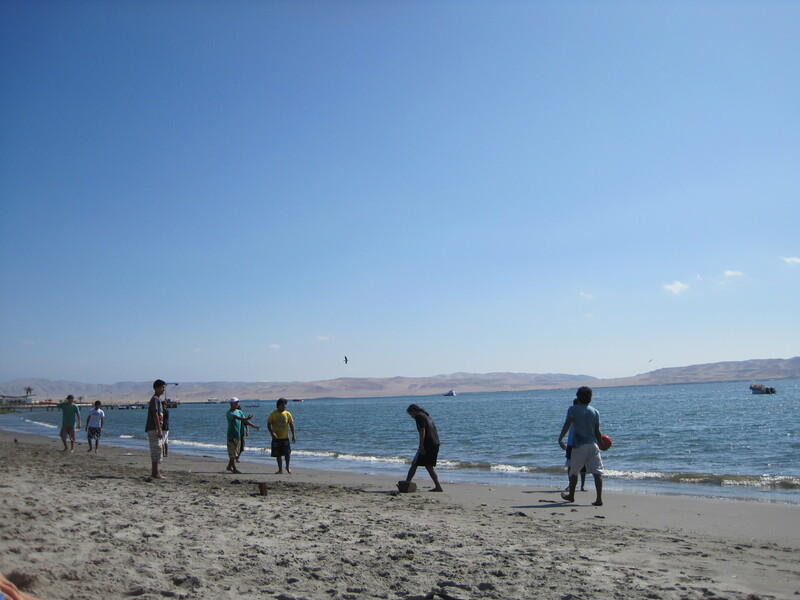 However, Pisco is not an affluent area and many locals speak with disdain regarding the governmental assistance provided to them in the wake of the earthquake. Therefore aspirations of attaining seismic resilience in reconstruction projects has often given way to more urgent, daily concerns, leaving many local people highly vulnerable in the event of future natural disasters. I believe that the cultural significance of housing is of huge importance in determining the success of a particular project within the local community and therefore I was particularly interested in the idea of improving seismic resilience of traditional building techniques. 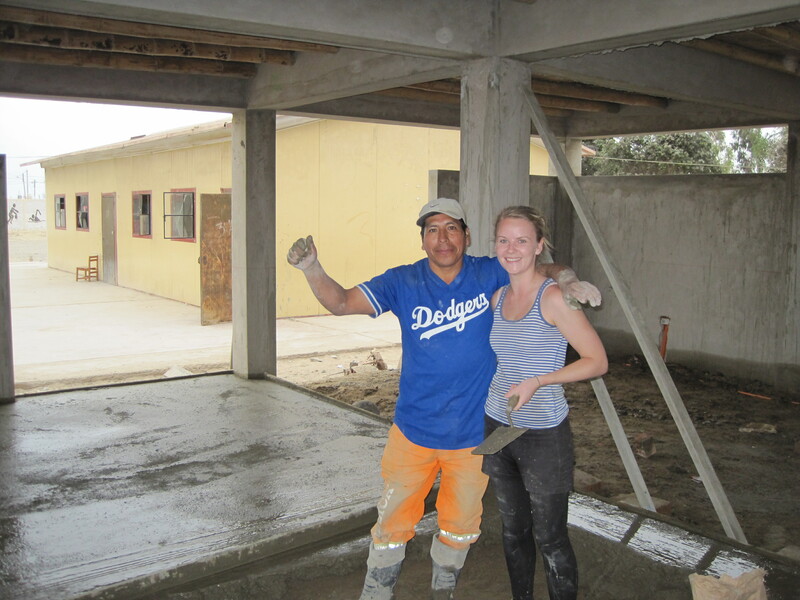 I quickly felt at home when I began volunteering in Pisco, I enjoyed working with the local people and “getting my hands dirty” working on site with the other international volunteers. Living and working in what was at times a highly challenging environment, I gained a real sense of perspective and achievement at the end of each day. Returning to university, I remained involved with the charity and I have recently completed my 4th year dissertation entitled “Post-Disaster Reconstruction Methods in the town of Pisco, Peru” and I became determined to return to Pisco for a longer period of time in order to continue assisting Pisco Sin Fronteras and the local community. With the support of the Jessica Jennifer Cohen Foundation, in the form of extremely generous grant funding, I am able to return to Pisco this summer, between June and August 2011 in order to continue working with Pisco Sin Fronteras and to explore the potential for developing ideas from my university dissertation in the town. 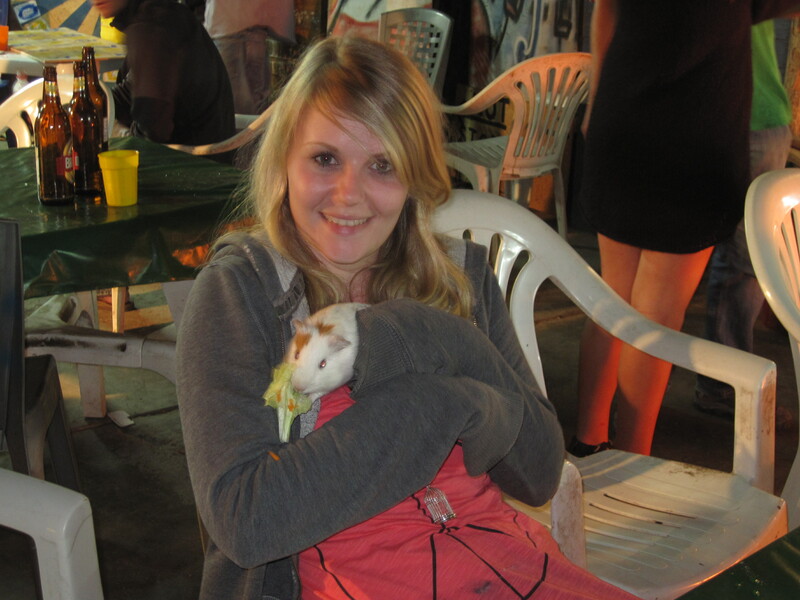 JJCF are a small charity, set up in the memory of Jessica Jennifer Cohen, who was dedicated to various charities, working for improvements in communities and for women, children and families. Therefore the charity offers funding to young people seeking to undertake voluntary service which will be of particular benefit to the local community, particularly when reinforced with specific academic or professional goals. Additionally, I am indebted to the Omprakash Foundation (Pisco Sin Fronteras’ fiscal partner) for their support and assistance in funding this voluntary expedition. Omprakash support numerous small charities worldwide, each of which undertake vital humanitarian work amongst communities. With the backing of these organizations, I am returning to Pisco in June to undertake roughly 10 weeks of voluntary service, and will be maintaining this online journal to record the experience.